Professorin für Landschaftsökologie / Prof. Dr. sc. nat. Huwe, B., Fiedler, A., Moritz, S., Rabbow, E., de Vera, J-P. & Joshi, J. (2019) Mosses in Low Earth Orbit - implications for the limits of life and the habitability of Mars. Astrobiology, 19, 221–232. de Vera, J-P., Alawi, Mashal, M., Backhaus, T., Baqué, M., Billi, D., Böttger, U., Berger, T., Bohmeier, M., Cockell, C., Demets, R., de la Torre Noetzel, R., Edwards, H., Elsaesser, A., Fagliarone, C., Fiedler, A., Foing, B., Foucher, F., Fritz, J., Hanke, F., Herzog, T., Horneck, G., Hübers, H-W., Huwe, B., Joshi, J., Kozyrovska, N., Kruchten, M., Lasch, P., Lee, N., Leuko, S., Leya, T., Lorek, A., Martínez-Frías, J., Moritz, S., Moeller, R., Olsson-Francis, K., Onofri, S., Ott, S., Pacelli, C., Podolich, O., Rabbow, E., Reitz, G., Rettberg, P., Reva, O., Rothschild, L., Garcia Sancho, L., Schulze-Makuch, D., Selbmann, L., Serrano, P., Szewzyk, U., Verseux, C., Wadsworth, J., Wagner, D., Westall, F., Wolter, D. & Zucconi, L. (2019) Limits of life and the habitability of Mars: The ESA space experiment BIOMEX on the ISS. Astrobiology, 19, 145–157. Joshi, J. & Matthies, D. (1996). Effects of mowing and fertilization on succession in an old-field plant community. Bulletin of the Geobotanical Institute ETH 62, 13–26. Baur, B., Joshi, J., Schmid, B., Hänggi, A., Borcard, D., Stary, J., Pedroli, A., Thommen, G.H., Luka, H., Rusterholz, H.P., Oggier, P., Ledergerber, S. & Erhardt, A. (1996). Variation in species richness of plants and diverse groups of invertebrates in three calcareous grasslands of the Swiss Jura mountains. Revue Suisse de Zoologie 103: 801–833. Diemer, M., Joshi, J., Körner, C., Schmid, B. & Spehn, E. (1997). An experimental protocol to assess the effects of plant diversity on ecosystem functioning utilised in a European research network. Bulletin of the Geobotanical Institute ETH 63: 95–107. Hector, A., Schmid, B., Beierkuhnlein, C., Caldeira, M.C., Diemer, M., Dimitrakopoulos, P.G., Finn, J., Freitas, H., Giller, P. S., Good, J., Harris, R., Högberg, P., Huss-Danell, K., Joshi, J., Jumpponen, A., Körner, C., Leadley, P.W., Loreau, M., Minns, A., Mulder, C.P.H., O’Donovan, G., Otway, S. J., Pereira, J.S., Prinz, A., Read, D.J., Scherer-Lorenzen, M., Schulze, E.-D., Siamantziouras, A.-.D., Spehn, E., Terry, A.C., Troumbis, A.Y., Woodward, F.I., Yachi, S. & Lawton, J.H. (1999). Plant diversity and productivity experiments in European grasslands. Science 286: 1123–1127. Mulder, C.P.H., Koricheva, J., Huss-Danell, K., Högberg, P. & Joshi, J. (1999). Insects affect relationships between plant species richness and ecosystem processes. Ecology Letters 2, 237–246. Hector, A., Schmid, B., Beierkuhnlein, C., Caldeira, M.C., Diemer, M., Dimitrakopoulos, P.G., Finn, J., Freitas, H., Giller, P. S., Good, J., Harris, R., Högberg, P., Huss-Danell, K., Joshi, J., Jumpponen, A., Körner, C., Leadley, P.W., Loreau, M., Minns, A., Mulder, C.P.H., O’Donovan, G., Otway, S.J., Pereira, J.S., Prinz, A., Read, D.J., Scherer-Lorenzen, M., Schulze, E.-D., Siamantziouras, A.-.D., Spehn, E., Terry, A.C., Troumbis, A.Y., Woodward, F.I., Yachi, S. & Lawton, J.H. (2000). No consistent effect of plant diversity on productivity — Response. Science 289, www.sciencemag.org/cgi/content/full/289/5483/1255a. Joshi, J., Matthies, D. & Schmid, B. (2000). Root hemiparasites and plant diversity in experimental grassland communities. Journal of Ecology 88: 634–644. Koricheva, J., Mulder, C.P.H., Schmid, B., Joshi, J. & Huss-Danell, K. (2000). Numerical responses of different trophic groups of invertebrates to manipulations of plant diversity in grasslands. Oecologia 125: 271–282. Spehn, E., Joshi, J., Diemer, M., Schmid, B. & Körner, C. (2000). Aboveground resource use increases with plant species richness in experimental grassland ecosystems. Functional Ecology 14: 326–337. Spehn, E., Joshi, J., Schmid, B., Alphei, J. & Körner, C. (2000). Plant diversity effects on soil heterotrophic activity in experimental grassland ecosystems. Plant & Soil 224: 217–230. Hector, A., Joshi, J., Lawler, S., Spehn E.M. & Wilby, A. (2001). Conservation implications of the link between biodiversity and ecosystem functioning. Oecologia 129, 624–628. Joshi, J., Schmid, B., Caldeira, M.C., Dimitrakopoulos, P.G., Good, J., Harris, R., Hector, A., Huss-Danell, K., Jumpponen, A., Minns, A., Mulder, C.P.H., Pereira, J.S., Prinz, A., Scherer-Lorenzen, M., Siamantziouras, A.-D., Terry, A.C., Troumbis, A.Y. & Lawton, J.H. (2001). Local adaptation enhances performance of common plant species. Ecology Letters 4: 536–544. Gautschi, B., Widmer, A., Joshi, J. & Koella, J. (2002). Increased frequency of scale anomalies and loss of genetic variation in serially bottlenecked populations of the dice snake, Natrix tessellata. Conservation Genetics 3: 235–245. Seidl, I, Schelske, O., Jenny, M. & Joshi, J. (2003). Entrepreneurship in biodiversity conservation, and regional development. Entrepreneurship & Regional Development 15: 333–350. Bosshard, A., Joshi, J., Lüscher, A. & Schaffner, U. (2003). Jakobs- und andere Kreuzkräuter: Eine Standortbestimmung. Agrarforschung 10: 231–235. Seidl, I, Fry, P. & Joshi J. (2003). Verknüpfter Boden- und Biodiversitätsschutz als Herausforderung für die Akteure. Gaia 12, 187–195. Pfisterer, A.B., Joshi, J., Schmid, B. & Fischer, M. (2004). Rapid decay of diversity–productivity relationships after invasion in experimental plant communities. Basic and Applied Ecology 5: 5–14. Bartelt-Ryser, J., Joshi, J., Schmid, B., Brandl, H. & Balser, T. (2005). Soil feedbacks of plant diversity on soil microbial communities and subsequent plant growth. Perspectives in Plant Ecology, Evolution and Systematics 7: 27–49. Hector, A., Bazeley-White, E., Spehn, E.M., Joshi, J., Scherer-Lorenzen, M., Schmid, B., Beierkuhnlein, C., Caldeira, M.C., Diemer, M., Dimitrakopoulos, P.G., Finn, J.A., Freitas, H., Giller, P.S., Good, J., Harris, R., Hogberg, P., Huss-Danell, K., Jumpponen, A., Koricheva, J., Körner, C., Leadley, P.W., Loreau, M., Minns, A., Mulder, C.P.H., O'Donovan, G., Otway, S.J., Pereira, J.S., Prinz, A., Read, D.J., Schulze, E.-D., Siamantziouras, A.-.D., Terry, A.C., Troumbis, A.Y., Woodward, F.I., Yachi, S. & Lawton, J.H. (2005). Ecosystem effects of the manipulation of plant diversity in European grasslands: data from the BIODEPTH project. Ecological Archives M075-001-S1. Spehn, E.M., Hector, A., Joshi, J., Scherer-Lorenzen, M., Schmid, B., Bazeley-White, E., Beierkuhnlein, C. , Caldeira, M.C., Diemer, M., Dimitrakopoulos, P.G., Finn, J.A., Freitas, H., Giller, P.S., Good, J., Harris, R., Hogberg, P., Huss-Danell, K., Jumpponen, A., Koricheva, J., Leadley, P.W., Loreau, M., Minns, A., Mulder, C.P.H., O'Donovan, G., Otway, S.J., Palmborg, C., Pereira, J.S., Pfisterer, A.B., Prinz, A., Read, D.J., Schulze, E.-D., Siamantziouras, A.-.D., Terry, A.C., Troumbis, A.Y., Woodward, F.I., Yachi, S. & Lawton, J.H. (2005). Ecosystem effects of biodiversity manipulations in European grasslands. Ecological Monographs 75: 37–63. Joshi, J. & Vrieling K. (2005) The enemy release and EICA hypothesis revisited: Incorporating the fundamental difference between specialist and generalist herbivores. Ecology Letters 8: 704–714. Joshi, J., Stoll, P., Rusterholz, H.-P., Schmid, B., Dolt, C. & Baur, B. (2006) Small-scale experimental habitat fragmentation affects colonization-extinction dynamics in species-rich grasslands. Oecologia 148: 144–152. Hector, A., Joshi, J., Scherer-Lorenzen, M., Schmid, B., Spehn, E.M., Wacker, L. Weilenmann, M., Bazeley-White, E., Beierkuhnlein, C., Caldeira, M.C., Dimitrakopoulos, P.G., Finn, J., Huss-Danell, K., Jumpponen, A., Leadley, P.W., Loreau, M., Mulder, C.P.H., Neßhöver, C., Palmborg, C., Read, D.J., Siamantziouras, A.-.D., Terry, A.C. & Troumbis, A.Y. (2007) Biodiversity and ecosystem functioning: reconciling the results of experimental and observational studies, Functional Ecology 21: 998–1002. Abhilasha, D., Quintana, N., Vivanco, J. & Joshi, J. (2008) Do allelopathic compounds in invasive Solidago canadensis s.l. restrain the native European flora? Journal of Ecology 96: 993–1001. Bergamini, A, Peintinger, S, Fakheran, S., Moradi, M. Schmid, B. & Joshi, J. (2009) Loss of habitat specialists despite conservation management in wetland remnants 1995–2006, Perspectives in Plant Ecology, Evolution and Systematics 11: 65–79. 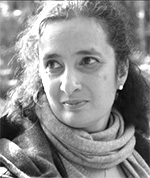 Abhilasha D. & Joshi, J. (2009) Enhanced fitness due to higher fecundity, increased defence against a specialist and tolerance towards a generalist herbivore in an invasive annual plant, Journal of Plant Ecology 2: 77-86; doi: 10.1093/jpe/rtp008. Doorduin, L.J., van den Hof, K., Vrieling, K. & Joshi, J. (2010) The lack of genetic bottleneck in invasive Tansy ragwort populations suggests multiple source populations, Basic and Applied Ecology 11: 244–250. Hector, A., Hautier, Y., Wacker, L., Saner, P., Bagchi, R., Joshi, J., Scherer-Lorenzen, M. Spehn, E.M., Bazeley-White, E., Weilenmann, M., Caldeira, M.C., Dimitrakopoulos, P.G., Finn, J., Huss-Danell, K., Jumpponen, A., Mulder, C.P.H., Palmborg, C., Pereira, J.S., Siamantziouras, A.-.D., Terry, A.C., Troumbis, A.Y., Schmid B. & Loreau, M. (2010) General stabilizing effects of plant diversity on grassland productivity at multiple sites through population asynchrony and overyielding, Ecology 91; 2213–2220. Zuppinger-Dingley, D., Chen Y., Schmid, B., Brandl, H., van der Heijden, M. & Joshi, J. (2011) In their native range, invasive plant species are held in check by negative soil-feedbacks. Ecosphere 2: 1–12. Moradi, H., Fakheran, S., Peintinger, M., Bergamini, A., Schmid, B. & Joshi, J. (2012) Profiteers of environmental change in the Swiss Alps: increase of thermophilous and generalist plants in wetland ecosystems within the last ten years. Alpine Botany 122: 45-56.
de Vera, J.-P., Boettger, U. Schmitz, N., Lange, C., Hübers, H.-W., Jaumann, R., Spohn, T. and Co-I team of BIOMEX* (including J. Joshi) (2012) Supporting Mars exploration: BIOMEX in Low Earth Orbit and further astrobiological studies on the Moon using Raman and PanCam technology. Planetary and Space Science 74: 103–110. Cierjacks, A., Kowarik, I., Joshi, J., Hempel, S., Ristow, M., von der Lippe, M. & Weber, E. Biological Flora of the British Isles: Robinia pseudoacacia L. (2013). Journal of Ecology 101: 1623–1640. Schwarzer, C., Heinken, T., Luthardt, V. & Joshi J. (2013). Latitudinal shifts in species interactions interfere with resistance of southern but not of northern bog-plant communities to experimental climate change, Journal of Ecology 101: 1484–1497. Müller, J., Heinze, J., Joshi, J., Klaus, V.H., Boch, S., Prati, D. & Fischer, M. (2013). Influence of experimental soil disturbances on plant diversity in agricultural grasslands, Journal of Plant Ecology 7: 509–517. Rottstock T., Joshi J., Kummer V., & Fischer M. (2014). Higher plant diversity promotes higher diversity of fungal pathogens, while it decreases pathogen infection per plant, Ecology 95: 1907–1917. Venail, P., Gross, K., Oakley, T., Narwani, A., Allan, E., Flombaum, P., Isbell, F., Joshi, J., Reich, P.B., Tilman, D., van Ruijven, J. & Cardinale, B.J. (2015) Species richness, but not phylogenetic diversity, influences community biomass production and temporal stability in a re-examination of 16 grassland biodiversity studies, Functional Ecology 29: 615–626. Rillig, M.C., Kiessling, W., Borsch, T., Gessler, A., Greenwood, A.D., Hofer, H., Joshi, J., Schröder, B., Thonicke, K., Tockner, K., Weisshuhn, K. & Jeltsch, F. (2015) Biodiversity research: data without theory – theory without data, Frontiers in Ecology and Evolution: doi: 10.3389/fevo.2015.00020. Heinze, J., Bergmann, J., Rillig, M.C., & Joshi, J. (2015) Negative biotic soil-effects enhance biodiversity by restricting potentially dominant plant species in grasslands, Perspectives in Plant Ecology, Evolution and Systematics 17: 227–235. Heinze, J., Werner, T., Weber, E., Rillig, M.C. & Joshi, J. (2015) Soil biota effects on local abundances of three grass species along a land-use gradient, Oecologia 179: 249–259. Cardinale, B.J., Venail, P., Gross, K., Oakley, T., Narwani, A., Allan, E., Flombaum, P., Joshi, J., Reich, P.B., Tilman, D., & van Ruijven, J. (2015) Further re-analyses looking for effects of phylogenetic diversity on community biomass and stability, Functional Ecology 29: 1607–1610. Ensslin, A., Tschöpe, O., Burkart, M. & Joshi, J. (2015) Fitness decline and adaptation to novel environments in ex-situ plant collections: Current knowledge and future perspectives, Biological Conservation 192: 394–401. Heinze, J., Sitte, M., Schindhelm, A., Wright, J. & Joshi, J. (2016) Plant-soil feedbacks: a comparative study on the relative importance of soil-feedbacks in the greenhouse versus the field, Oecologia 181: 559–569. Sakschewski, B., von Bloh, W., Boit, A., Poorter, L., Claros, M.P., Heinke, J., Joshi, J. & Thonicke, K. (2016) Amazon forest resilience emerges from plant trait diversity, Nature Climate Change, published online: 29 AUGUST 2016|DOI:10.1038/NCLIMATE3109. Bergmann, J., Verbruggen, E., Xiang, D., Heinze, J., Joshi, J., & Rillig, M. (2017) The interplay between soil structure, roots and microbiota as a determinant of plant-soil feedback, Ecology and Evolution 6: 7633–7644. Heinze, J., Gensch, S., Weber, E. & Joshi, J. (2017) Soil temperature modifies biotic plant-soil interactions, Journal of Plant Ecology doi: 10.1093/jpe/rtw097. Rottstock, T., Kummer, V., Fischer M. & Joshi, J. (2017) Rapid transgenerational effects in Knautia arvensis in response to plant-community diversity, Journal of Ecology: doi: 10.1111/1365-2745.12689. Schwarzer, C. & Joshi, J. (2017) Parallel adaptive responses to abiotic but not biotic conditions after cryptic speciation in the European peat moss Sphagnum magellanicum Brid., Perspectives in Plant Ecology, Evolution and Systematics 26: 14–27. Müller, C.M., Huwe, B., Wissemann, V., Joshi, J. & Gemeinholzer, B. (2017) Conservation genetic assessment on four different steppe plants in a small replica of a steppe ecosystem >30 years after establishment, Biodiversity and Conservation 26: 2699–2716. Heinze, J. & Joshi, J. (2017) Negative plant-soil feedback effects can be masked by aboveground herbivory under natural field conditions, Oecologia: doi: 10.1007/s00442-017-3997-y. Shi, J., Joshi, J., Tielbörger, K., Verhoeven, K. & Macel, M. (2018) Costs and benefits of admixture between foreign genotypes and local populations in the field, Ecology and Evolution 8: 3675–3684. Weber, E., Burkart, M. & Joshi, J. (2018) Deutsche Botanische Gärten als künftige Quelle invasiver Pflanzenarten – eine Bewertung der Lebendsammlungen. Natur und Landschaft 93: 23–27. Hector, A., Loreau, M., Schmid, B. & the BIODEPTH project (incl. Joshi, J,) (2002). Biodiversity manipulation experiments: studies replicated at multiple sites. In: M. Loreau, Naeem, P. Inchausti (Eds. ), Biodiversity and ecosystem functioning: synthesis and perspectives. Oxford University Press, Oxford, pp. 36–46. Hector, A. & the BIODEPTH project (incl. Joshi, J.) (2002 ). Biodiversity and the functioning of grassland ecosystems: multisite comparisons. In: A.P. Kinzig, S.W. Pacala, D. Tilman (Eds. ), Functional consequences of biodiversity: empirical progress and theoretical extensions. Princeton University Press, Princeton, pp. 71–95. Loreau, M., Downing, A., Emmerson, M., Gonzales, A., Hughes J., Inchausti P., Joshi, J., Norberg, J., Sala, O. (2002). A new look at the relationship between stability and diversity. In: Biodiversity and ecosystem functioning: synthesis and perspectives (eds. S. Naeem, M. Loreau, P. Inchausti): Oxford University Press. Schmid, B., Joshi, J., Schläpfer, F. (2002 ). Empirical evidence for biodiversity-ecosystem functioning relationships. In: A.P. Kinzig, S.W. Pacala, D. Tilman (Eds. ), Functional consequences of biodiversity: empirical progress and theoretical extensions. Princeton University Press, Princeton, pp. 120–150. Joshi, J., Otway, S.J., Koricheva, J., Pfisterer, A.B., Alphei, J., Roy, B.A., Scherer-Lorenzen, M., Schmid, B., Spehn, E., & Hector, A. (2004). Bottom-up effects and feed-backs in simple and diverse experimental grassland communities. In: Insects and ecosystem function (eds. WW. Weisser & E. Siemann), Springer Verlag, Berlin. Joshi, J. (2014). Urbane Pflanzen im Klimawandel. In: Historische Gärten im Klimawandel. Edition Leipzig. Kocyan, A. & Joshi, J. (1992). Die Orchideen von Kea. Ein Beitrag zum OPTIMA-Projekt zur Kartierung der Orchideen des Mittelmeerraumes. AHO Mitt. Bl. Arbeitskr. Heim. Orch. Baden-Württ., 24: 457–486. Moradi, H., Joshi J. & Schmid B. (2010) Biological variables in Iranian EISs. IAIA10 Conference Proceedings: The Role of Impact Assessment in Transitioning to the Green Economy 30th Annual Meeting of the International Association for Impact Assessment 6–11 April 2010, Geneva - Switzerland (www.iaia.org). Wagner, W., de Vera, J.-P., Joshi, J., Leya, T. & Schulze-Makuch, D. (2015) Astrobiologie – dem Leben im Universum auf der Spur, GFZ-Journal, Heft 1, Geo-Bio-Interaktionen. Kocyan, A., Kocyan, S., & Joshi, J. (2017) Die Insel Kythera – floristische Beziehungen zwischen Kreta und dem Peloponnes. Schweizerische Beiträge zur Dendrologie, 67–68: 509–517. Hellriegel, B., Joshi, J., Lindemann-Matthies, P. & Seidl, I. (Eds.) Gemeinsam statt Einsam: Peer-mentoring als Nachwuchsförderung in eigener Regie. Universelle 7, Januar 2005, Universität Zürich.